From winery tours and tastings to simply relaxing with friends, there’s a memorable experience waiting for you at one of Branson’s wineries. Formerly known as Stone Hill Winery, Curling Vine Winery has been a popular wine lovers' destination for many years. Free tours are held daily, which include samples of Missouri-made wines and juices. Also worth noting is the gift shop, which holds a variety of wines, cheeses and other beverage accompaniments available for purchase. 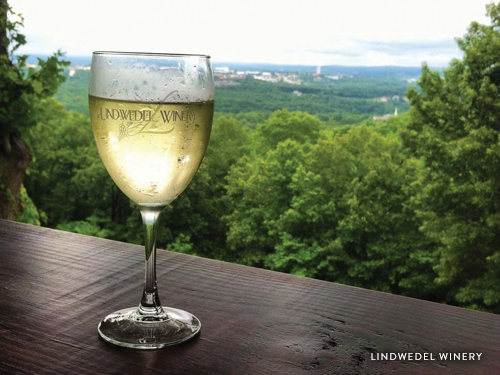 As you head northwest of downtown Branson, you'll find Lindwedel Wine Garden, which offers a peaceful countryside setting for sampling exquisite wines. Lindwedel has an array of Missouri-crafted wines, along with regional flavors such as Table Rock Red and Table Rock White, which pay tribute to the beautiful nearby Table Rock Lake. Home to award-winning wines, juices, specialty foods and gifts, St. James Winery provides an exceptional winery (and restaurant!) experience. Attend a tasting, and dine in for lunch or dinner Tuesday through Saturday. The signature brick-oven pizzas are almost as famous as the wine! Another unique Branson winery is Mount Pleasant Winery, whose company history in Missouri dates back to 1859. Guests are offered special hands-on opportunities, including a "Wine 101" class, where you can learn how to taste wine like a professional taster, and a bottling option, which allows you to bottle your own wine from a massive French Oak barrel. Popular selections include the Cabernet Sauvignon and Pink Catawba, noted for the sweet and fruity flavors that are said to pair well with a variety of desserts. Visitors who are fans of a rustic atmosphere will appreciate Bear Creek Wine Company, located just ten miles north of Branson. Tastings are held in the Hideaway Wine Cellar, where you can sample Ozarks-inspired beverages such as the "Back-Forty," "Fiddler’s Swig," "Hillbilly Persuasion" and more. Bear Creek is also home to an on-site bed and breakfast and is a popular destination for groups and weddings. Branson’s Macadoodles, whose wine cellar boasts some 4,000 selections, including labels from locations such as South America and New Zealand. Atrium Cafe & Wine Bar, located inside the Chateau on the Lake Resort, Spa & Convention Center, where guests can enjoy a cocktail or a glass of wine in the resort's relaxing atmosphere. Copper Run Distillery, which specializes in crafted rums and moonshines but also offers various wines at the facility's tasting room. For an unforgettable adults' treat, savor regional tastes with a winery tour or tasting during your next Branson vacation. Find more information on Branson wineries and distilleries here.